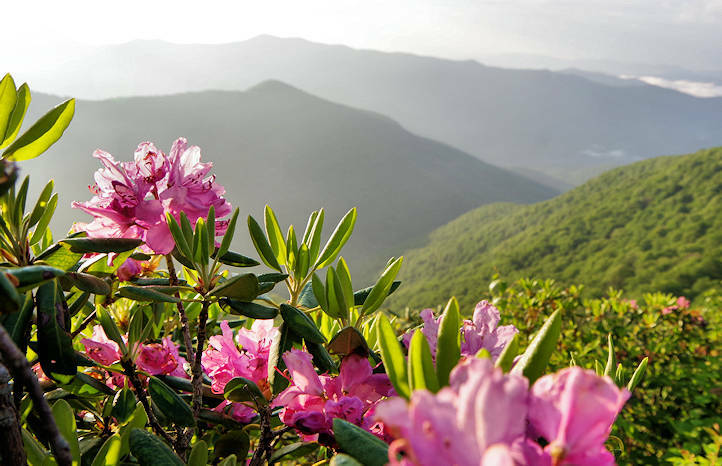 Just a couple of miles north of the Craggy Gardens Visitor Center is a Blue Ridge Parkway overlook (Milepost 361.2) for Glassmine Falls. It's about seven miles south of Mt. Mitchell. After a good rain, the view of the skinny waterfall cascading down a cliff across the valley is very dramatic. During drier weather, the waterfall reduces to a trickle. 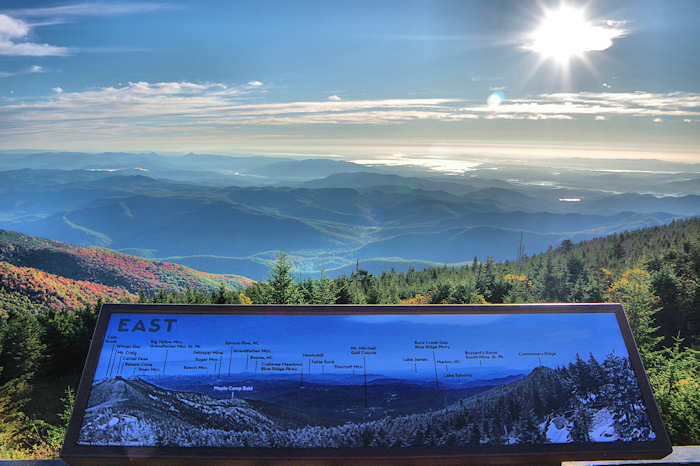 While the sign at the overlook claims it is 800 ft. tall, you are probably looking at a 200-ft. drop. 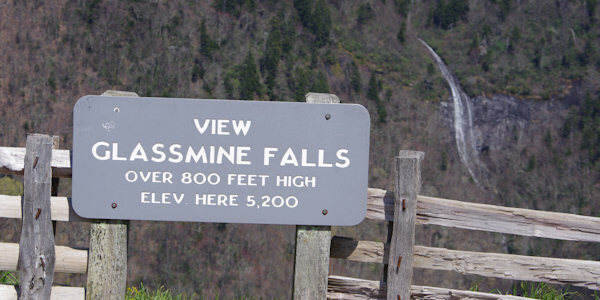 This is the only view of Glassmine Falls, and you cannot hike to its base. Walk a short distance from the overlook on the Mountain-to-Sea Trail for another viewing area, but the view is about the same. At the base of the waterfall was an old mica mine. Miners called the "isinglass" mineral, "glass" for short. Hence the name, Glass-mine. About 22 miles north on the Parkway is Crabtree Falls. 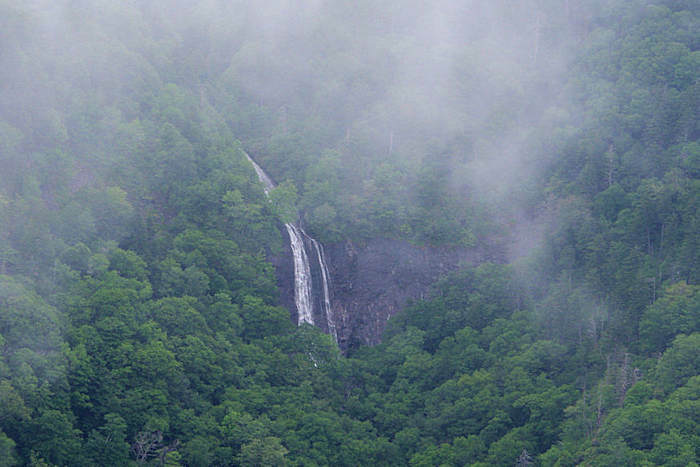 See our Waterfall Drives & Maps and our Top 12 Parkway Waterfalls.